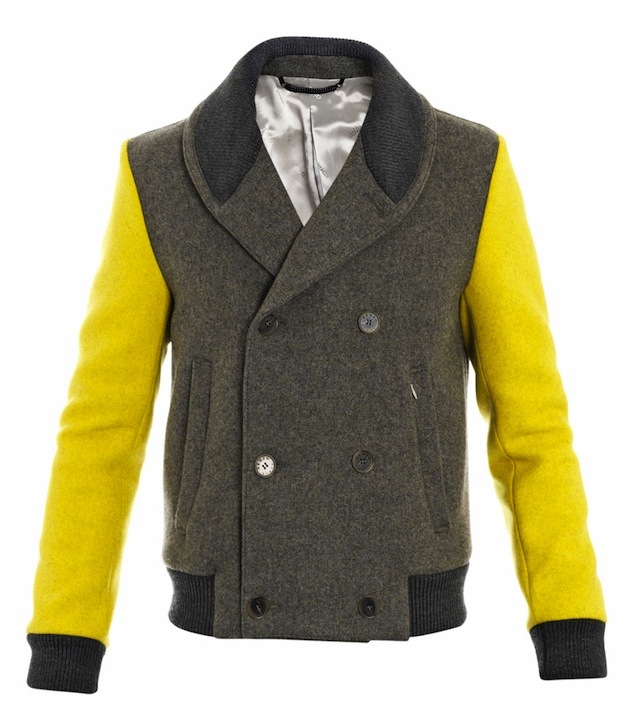 Take a look at this cashmere and wool blended bomber jacket from Kenzo. It features a grey body, doubled-breasted button closure at the front, slit zipper side pockets, and bright yellow sleeves. This Kenzo piece also has a darker grey ribbed collar, cuffs, and hem. What do you think of the yellow sleeves ($840).